It’s been a long time, Intel hasn’t released anything particularly exciting. The Intel i7 (Kaby Lake) is currently the best processor in the market right now. However, it seems like the wait is going to be over soon. 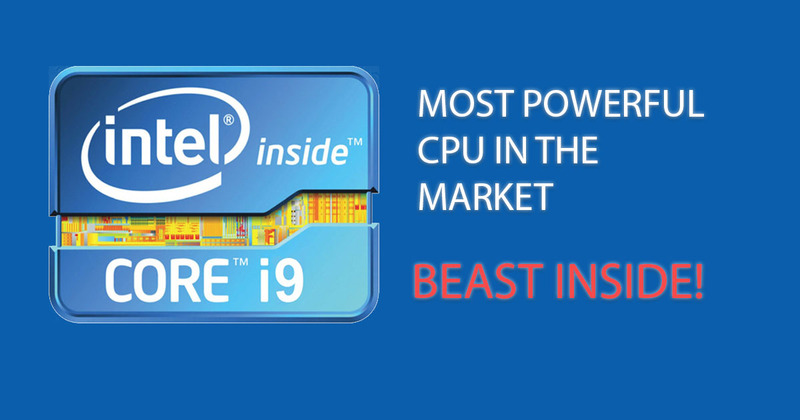 According to the recent leaks on Anandtech forum, The Intel corporation is apparently about to unveil a new lineup of desktop CPUs with a new high-end Core i9 CPU (Skylake-X) with 12 cores. 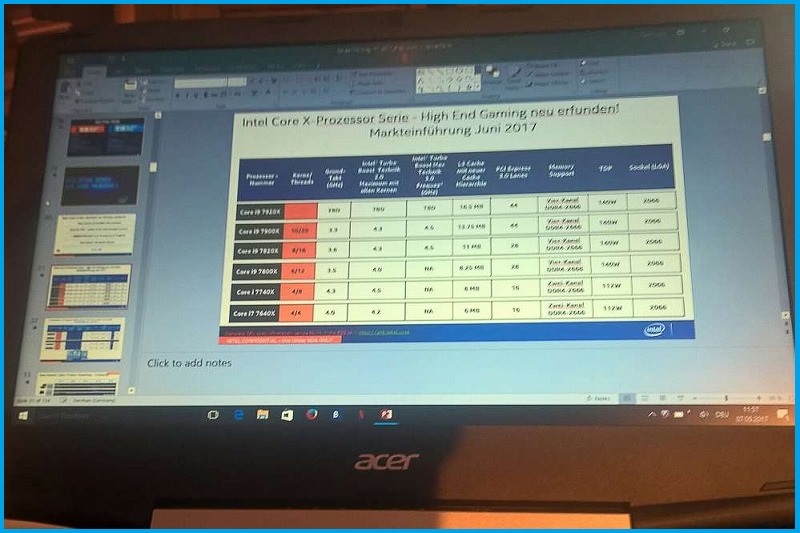 A forum member posted the PPT slide outlining a new crop of Core i9 processors. It looks like some employee or partner took a photo of a PowerPoint presentation in German with the full upcoming lineup. These processors would be based on the LGA-2066 architecture, and if valid would create a strong lineup of high-end desktop CPUs. With 12 cores and a power consumption of 140W, this is likely going to be the most powerful CPU in the market. According to the image, the new Core i9 designation would refer to four different chips ranging from the Core i9-7800X up to the Core i9-7920X. 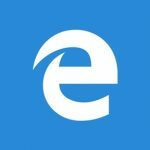 These chips would have a minimum of six cores and 12 threads and would range in speed from a 3.5GHz base and 4.0GHz Turbo 2.0 up to an undisclosed maximum speed. Between 28 and 44 PCIe lanes would be supported and the thermal design power (TDP) would run at a scorching 140 watts. However, this blurry picture doesn’t say much. The forum member also typed down the specification. The two highest rated procs, i9 7900X and 7920X have been tested on some integer and floating point calculations. These benchmarks These would be the 10 and 12 core models. The 10 core i9-7900X scores 107 points in a single core config and 1467 points with all of them activated. The base clock frequency of this proc is 3.1 GHz, the Turbo however is not listed. The 2.9 GHz clocked 7920X 12 core proc had a better score in single threaded perf at 130 points. For the chip with all cores tested it scored 1760 points.